Homepolish was founded to shake up an industry that’s traditionally been reserved for an elite few, making the luxury of a personal interior designer available at every budget. 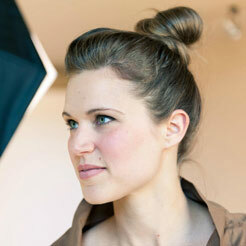 By charging a straightforward hourly rate (and taking the commissions, markups, and hidden costs out of the equation), they make the process of creating your dream space simple, fun, and accessible. With furniture collected from years of traveling, a new home in the Bay Area, and three (bilingual!) 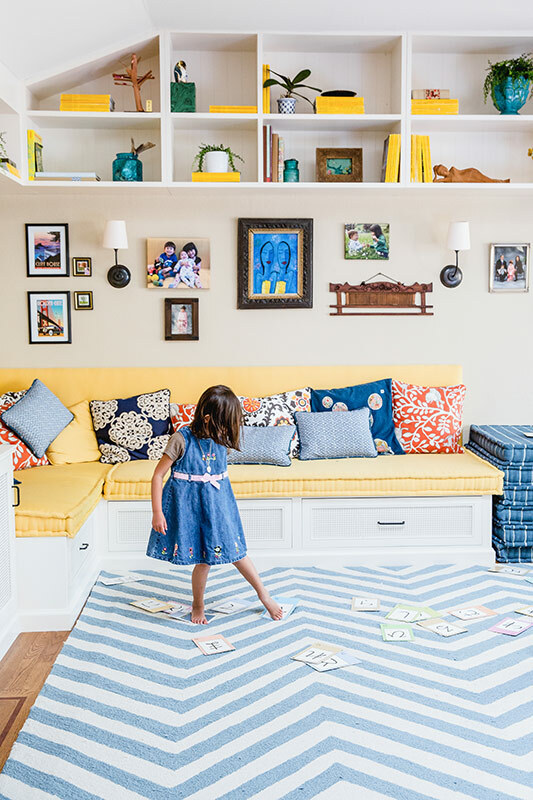 children under the age of seven, Stephen and Ritsuko decided to put their family room design in the hands of Homepolish San Francisco. 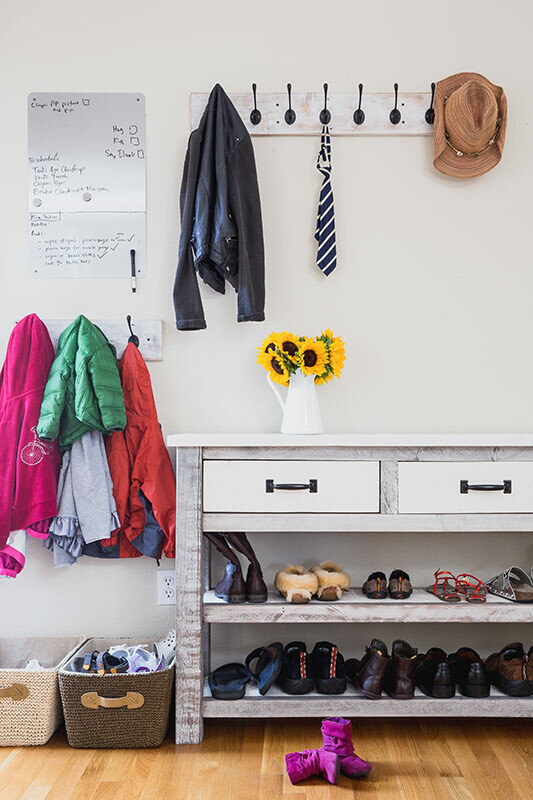 Paired with designer Libra Kaplan, the Ritsukos’ space was transformed from hodgepodge to happily organized in under 100 hours. 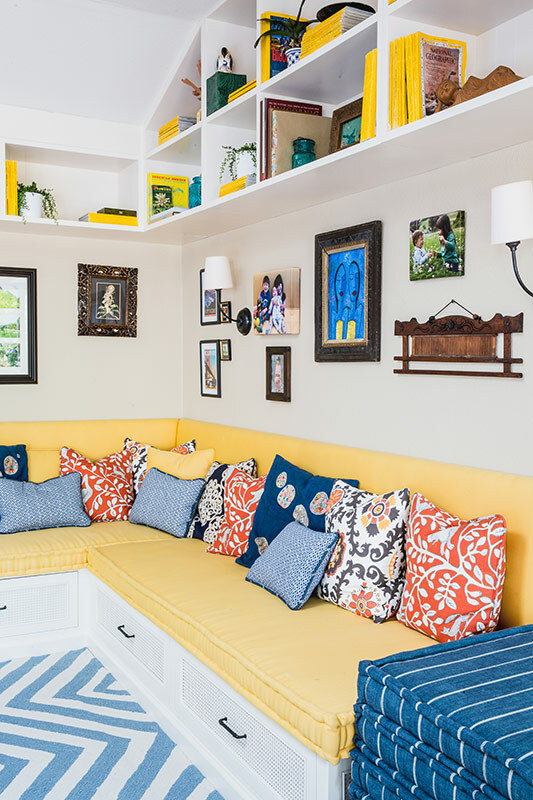 Wanting the decor to reflect the home’s beachy California architecture, Libra mixed bright colors with grounding colors (yellow and indigo) and used patterned textiles. Because it’s a highly trafficked room, Libra used sconces instead of floor or table lamps (since they can be hazardous as well as take up floor space) as well as easily cleaned synthetic rugs, indoor/outdoor fabrics, and semi-gloss finishes. 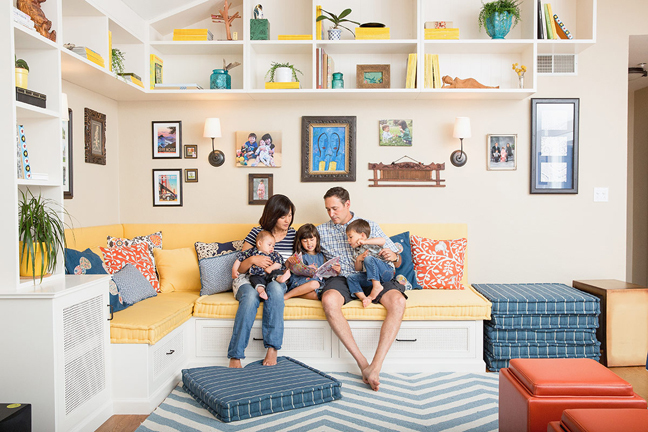 For this big, busy family with a range of interests, nothing is better than a great looking organization solution. Basically, everything in this family room changed. 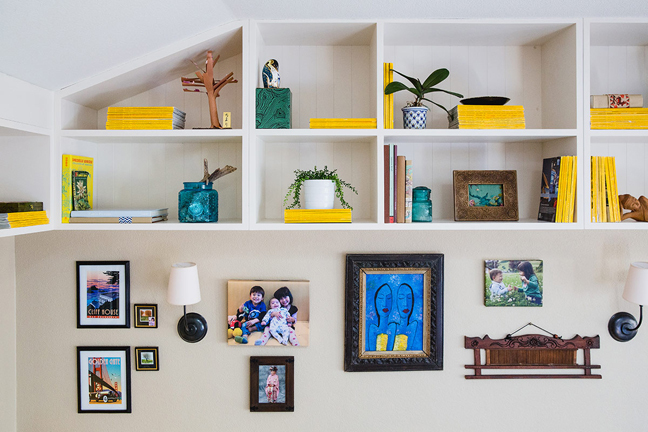 There was some existing furniture that just didn’t work with the room’s bright and cheery atmosphere, so half was sold off, and what the family really loved went into storage. Fabric was purchased to reupholster their existing modular sofa, but then Stephen and Ritsuko realized they weren’t in love with it, so the team changed course. Ever resourceful, Libra reworked the bought fabric to make denim floor cushions that the kids used to build forts! Lesson learned from this family room makeover? 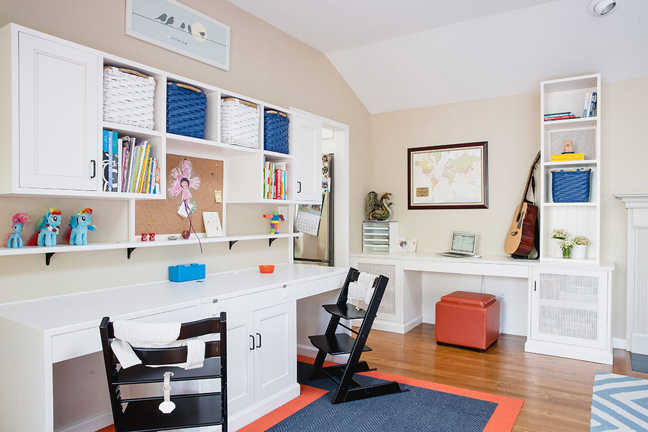 A great multi-tasking family room is so much more than an area with a TV and storage units for toys!